In an orphanage set amidst a bustling society of mice, Celestine’s unwavering passion for drawing is what sets her apart from the other youngsters. But her desire to draw is nearly quashed by the oppressive orphanage headmaster and a tyrannical dentist (the orphans are trained to take teeth from bears for his lucrative false teeth industry). Even though the young mice are taught that bears are to be feared as enemies, Celestine expresses her curiosity for the huge creatures in her closely guarded sketchbook. To the dismay of her callous elders, instead of collecting bear teeth to fulfill a strictly imposed quota, she draws diligently and questions the orphanage’s stringent rules. Celestine makes a covert alliance with the grumpy, always hungry Ernest in a desperate attempt to satisfy the elders’ greedy demands. When their plans go awry, the two fugitives are forced to hide away at Ernest’s house in the woods. It is there, under the protection of her hulking friend, that Celestine’s creativity and drawing skills begin to blossom. At first the new surroundings are frightening to Celestine. But Ernest makes room in his house for her to draw and paint, providing safe harbor for Celestine’s creativity to flourish. She begins to study things in nature, including a little bird who happily poses for her sketches. 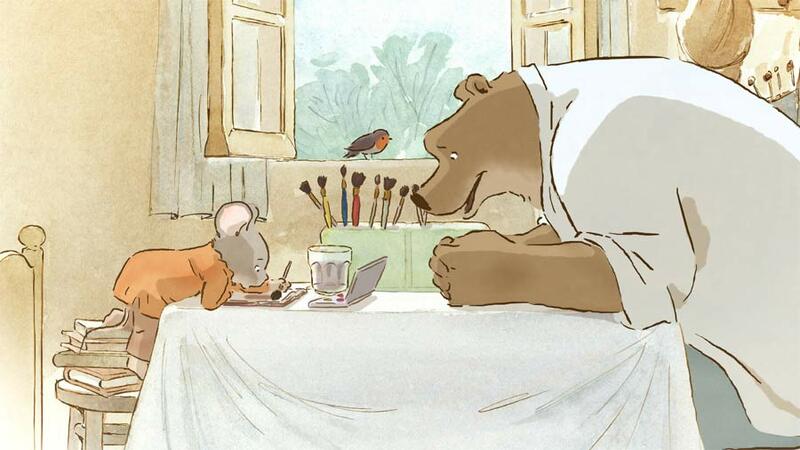 Together, bear and mouse find true friendship and a shared love for art. The film was crafted in Belgium with novice animator and first-time director Benjamin Renner at the helm. 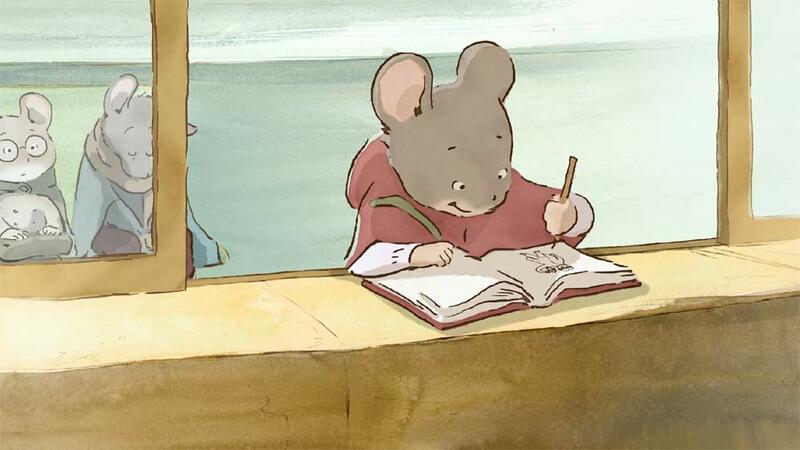 Based on the classic storybook series by Gabrielle Vincent, “Ernest and Celestine” features exquisitely hand-drawn animation and hand-painted watercolor scenes, a visual style that subtly communicates the power of drawing in our culture. If you know a young artist who loves to draw, watch this jewel of a film together. The story will entertain, provoke various topics for discussion, and open the door to the idea that, indeed, we were all born to draw.